White bumps on lips can be unsightly and difficult to hide. Thankfully, there are different natural remedies you can use to get rid of them for good. Find out more about what causes these white bumps and what you can do about them. What Causes These White Bumps On Lips? White bumps on lips can be caused by different things. Overactive oil glands are the most common cause. The oil glands located in the skin can produce too much sebum due to age, sun damage, or genetics. These small white bumps are known as Fordyce spots. They are easily recognizable by their small size. You will typically have several white bumps on the inner portion of your lips. These white spots might go away on their own, but it is likely that they will remain visible for as long as your oil glands produce too much sebum. They should be visible to the naked eye but they shouldn’t be raised and shouldn’t grow in size. Fordyce spots have a diameter that doesn’t exceed three millimeters. If you have larger white spots, you might be dealing with milia or canker sores. Milia, also called a milium cyst, refers to small raised white bumps. These bumps are caused by dead skin cells trapped under the skin. Milia can go away on its own, but a dermatologist can remove a stubborn milium cyst. If you have a milium cyst, it will typically appear on the border of your lips. 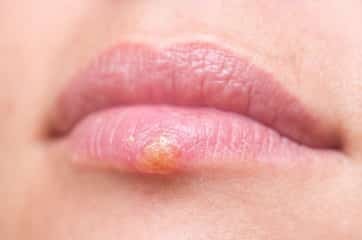 If you have larger white bumps that look like blisters and are filled with fluid, this is probably a symptom of herpes simplex. Oral thrush can also cause white bumps to appear on your lips. You should be able to recognize oral thrush easily since these white bumps will spread to other areas of your mouth. You can find topical treatments for Fordyce spots, even though most dermatologists recommend laser treatments. Topical treatments often contain chemicals that will irritate your skin and cause your oil glands to produce even more sebum. Laser treatments are costly, painful, and can leave scars behind. Natural remedies are gentler on your skin and more affordable than other treatments. They work just as well and won’t irritate your skin. Some of these remedies will even nourish your skin with vitamins. The right combination of natural treatments for white bumps on lips will help cleanse your pores of these white bumps and soothe the overactive oil glands. You should try these natural remedies if you have white bumps on your lips that won’t go away on their own. Don’t hesitate to combine these natural remedies to get better results. 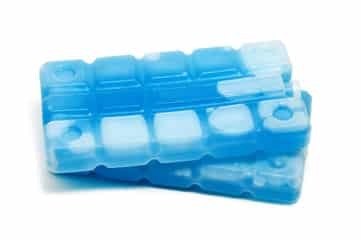 Applying an ice pack to your lips will reduce blood flow to the area. The overactive oil glands should produce less sebum, and the cold will also close your pores. 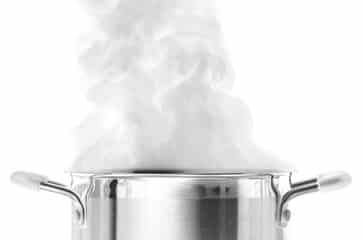 On the other hand, heat will cause your pores to open up by boiling some water and standing over the steam. You could use steam to open your pores and clean them with a lip scrub. Get a natural remedy like an essential oil to reach deeper layers of your skin. Combine cold and heat to flush your pores and cleanse them. Use steam to open your pores and apply an ice cube to the area to immediately close the pores again. Repeat this a few times to get rid of the excess sebum trapped in your pores. 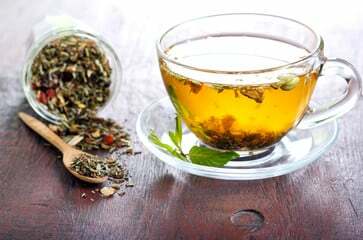 Licorice tea can help reduce inflammation. You should try this natural remedy if you have canker sores or a large number of white bumps on your lips and the inside of your cheeks. You can either buy licorice tea or make your own by boiling some licorice root in water. The more licorice root you use, the stronger the tea will be. It won’t be pleasant to drink, but you can swish with this concentrated tea to get better results. Tea tree oil has many benefits. This natural remedy could eliminate your white bumps and make your lips and skin healthier in the process. The downside of using tea tree oil is that it can make your skin dry. If you notice that this natural remedy is making your skin dry, don’t use it too often. 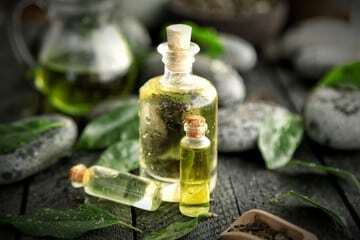 Tea tree oil is a natural antiseptic. It will help canker sores heal faster, fight inflammation, and fight fungus too. You can apply a few drops of tea tree oil to your lips and massage it into your skin. This will make your skin softer, cleanse it, and soothe it. If you do this regularly, your inflamed oil glands should start producing less sebum. 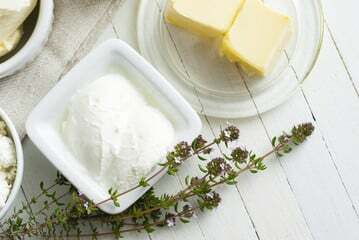 Buttermilk is a natural astringent. This means it can draw excess oil out of your skin. This is an amazing natural remedy for acne and an interesting alternative to using a toner if you have oily skin. Most store-bought astringents contain alcohol. This causes your skin to become dry and to produce even more sebum to compensate. Buttermilk is a gentle alternative to alcohol. It can draw excess oil and sebum out of your skin without drying or irritating it. You can apply it to your lips with a cotton ball and can use this natural remedy as often as you would like since it won’t dry your skin. Dilute apple cider vinegar with water before using it. You can mix two parts water for one part apple cider vinegar and dip a cotton ball in this mixture to apply it on your lips. Apple cider vinegar is a natural toner. It will minimize your pores and make the white bumps less visible. 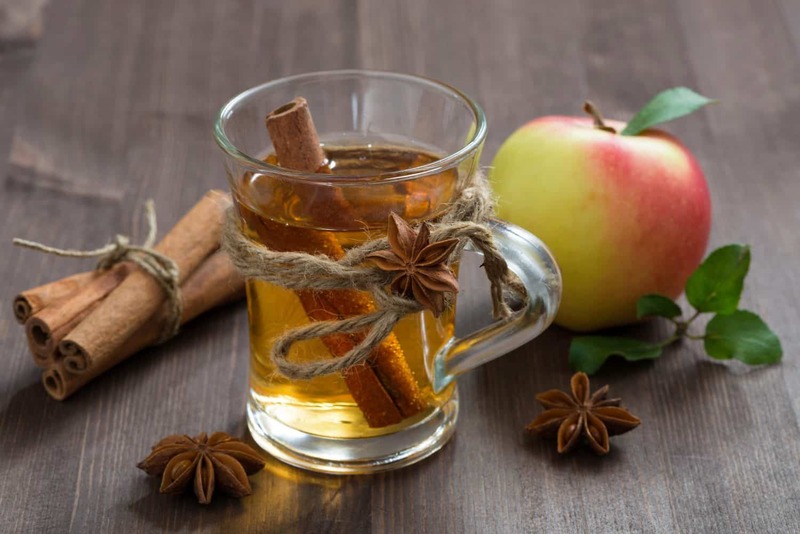 Apple cider vinegar won’t help soothe your overactive oil glands, but it can do wonders if you combine it with another natural remedy that will soothe the oil glands. Coconut oil has antibacterial and antifungal properties. Use it to keep your skin clean and prevent open pores from infections. It also works as a moisturizer. If your oil glands are producing too much sebum, moisturizing with coconut oil will make a difference. The problem with other moisturizers is that they often contain other chemicals. These ingredients can irritate your skin and lead to oil glands producing more sebum. Besides, most store-bought moisturizers shouldn’t be used around your mouth. You can moisturize your lips by applying a few drops of coconut oil and massaging your skin. If there is an excess oil left, wash it off with some warm water. 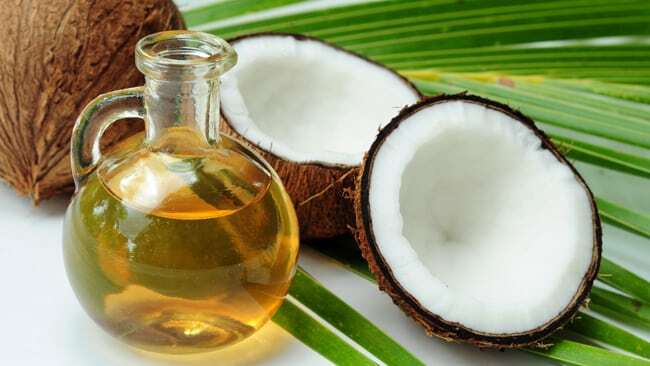 Coconut oil can make you break out if you have sensitive skin. Test this natural remedy to see how it affects you before deciding if you want to keep using coconut oil. 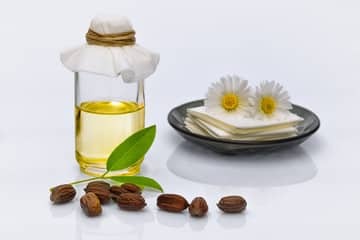 Jojoba oil is rich in nourishing vitamins. It is gentler than coconut oil and would be a better option if you are acne-prone. Jojoba oil works by restoring a natural balance when it comes to sebum production. It can replace the sebum that is missing from your skin, which results in oil glands producing less sebum. This natural remedy will also help with inflammation, and soften your lips so you can get better results when exfoliating. You should exfoliate at least once a week to get rid of white bumps. Exfoliating will help open your pores and eliminate the sebum and dead skin cells trapped inside. You shouldn’t exfoliate if you have canker sores, and shouldn’t exfoliate too often if your skin gets irritated easily. Combine scrubbing your lips regularly with one of the natural remedies listed above to help soothe your oil glands. Scrubbing will clean your pores and make white bumps less visible, but it won’t address the cause of the issue. Use steam to open your pores before scrubbing. You can use cold water or an ice cube when you are done to minimize your pores and flush them. You can use salt, sugar, or coffee grounds to exfoliate your lips and skin. These natural remedies are gentle and won’t irritate your skin. Sugar is an interesting choice because you can easily mix it with other ingredients. You could, for instance, combine sugar with a few drops of coconut oil, jojoba oil, tea tree oil, or buttermilk to get better results. You should be able to get rid of white bumps on lips thanks to these natural remedies. If your white bumps don’t disappear after a few weeks, you should see a dermatologist to explore other treatment options.